Thinking of adding a financial wellness program to your company’s benefits? A new study shows your employees are likely to appreciate the offer, and that their money struggles are impacting your business. The survey also examined how financial stress among employees is harming their productivity on the job. 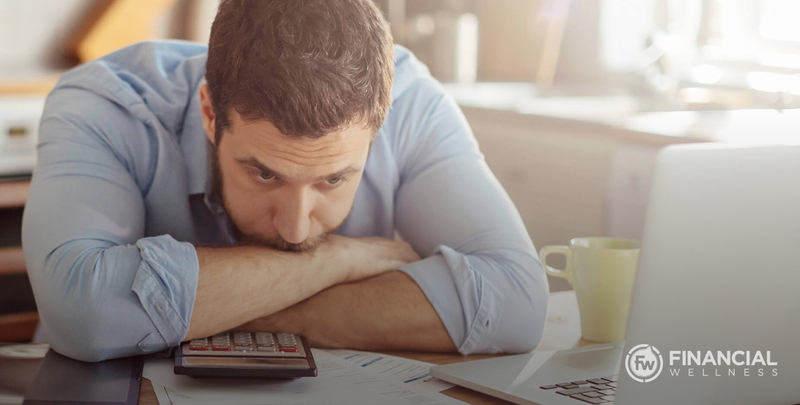 It’s no surprise to find that employees dealing with money stress are nearly five times more likely to be distracted by their finances at work and twice as likely to miss work on account of such issues. Offering an employee benefit that can help your workers leave financial stress behind and move them toward real financial wellness is a great idea. But not all financial wellness programs are created equal. Nowadays everyone is jumping on the financial wellness bandwagon—banks, credit unions, and other vendors. To get your attention, they’re often seen and heard promising clients “free” financial wellness programs. When you hear about those wonderful free offers, remember that old economic proverb: there ain’t no such thing as a free lunch. Here are some red flags to keep in mind as you vet the market. Your employees need help with their money. And the last thing they need or want is to jump into a benefit program intended to help them, only to be hit over the head with ads. All too often this is what some financial wellness programs end up being. Look for a benefit that’s totally free of any solicitations. Rather than delivering real financial wellness, sometimes vendors are pushing thinly veiled debt-management programs. Others even promote credit cards within their materials. Such programs defeat the whole purpose of a financial wellness benefit, which should be inspiring your workers to eliminate debt rather than helping them keep it around. Once you’ve winnowed away the scams and counter-productive options in your search, you can begin to narrow it further by looking for the features that make for a winning wellness program. It’s great hearing from employees that they’re winning with their money, and even that they attribute the change to your benefit offerings! It’s even better to have data you can examine as you assess the return on investment that program is bringing your company! Insist on a financial wellness benefit that helps you track participation rates, employee engagement, overall progress in the plan and total financial turnaround. With those metrics in hand, you can be sure you’re delivering the impact you need to keep your organization moving in the right direction. “When” and “where” shouldn’t be deal-breakers for your team’s financial wellness. The days of one-and-done investment seminars are over, and the time for learning on the go is here. By offering a benefit online, you’re giving your employees something they’ll value both in the office and at home—access on demand. And keep an eye out for a program that features powerful content and frequent updates to its materials. With all the hype around the legitimate question of your employees’ financial wellness, it’s important to check any potential vendor for quality before deciding which one is best for your team from both your workers’ perspective as well as your own.